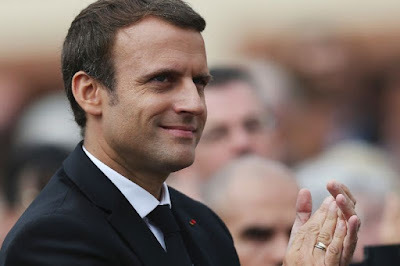 Paris (AFP) - France's parliament on Wednesday adopted a bill allowing the government to fast-track changes to the labour code, the first major reform of Emmanuel Macron's presidency which aims to slash unemployment. After weeks of at times heated debate between lawmakers, the Senate approved a bill allowing the government to loosen the labour laws after negotiations with unions and employers' groups. Liberalising France's labour market -- long a demand of its eurozone partners led by Germany -- was one of the central planks of the centrist Macron's election manifesto. The upper house Senate adopted the final version of the text by 225 votes to 109, completing its adoption. Former investment banker Macron wants to give employers more power to negotiate conditions with workers at the company level rather than being bound by industry-wide agreements. France's 39-year-old leader also wants to cap the compensation awarded by courts in dismissal cases. Employers cite the current lack of visibility on the amount of damages awarded by courts as a disincentive to hiring. With nearly 3.5 million people out of work, Macron has made job creation his top priority, pledging to cut unemployment from a projected 9.4 percent this year to 7 percent by 2022. The government says the labour reforms, which have been the subject of several rounds of negotiations with employers and trade unions, will benefit both bosses and workers. While companies will, for instance, find it easier to lay off staff during a downturn, jobless workers will receive higher payouts. The reforms also aim to streamline negotiating channels within companies, by fusing the plethora of workers' committees dealing with everything from working hours to health and safety into a single body. The bill easily passed the National Assembly, or lower house, where Macron's Republic on the Move (REM) party has a large majority. The stiffest resistance came from the leftist France Unbowed, which accused the ruling party's novice lawmakers of being presidential "stooges" for waving through a bill they said would unravel decades of social gains. Successive French governments have attempted to reform France's labour laws, without much success. Ex-president Francois Hollande's Socialist government sparked months of at times violent protests by pushing through a labour bill last year that was far more timid than that of Macron. Macron immediately got down to negotiations with union leaders to try to avoid a similar debacle. Despite his attempts to disarm them, some unions leaders are already calling for demonstrations. The hardline CGT union has called for countrywide strikes and protests on September 12. Employers, by contrast, have welcomed the imminent changes, which will be implemented by means of executive orders in September. "France must become as attractive as its neighbours," the head of the Medef employers' federation, Pierre Gattaz, said last week, calling the overhaul "absolutely essential for the country."